Mobile capacity of up to 500 lbs. 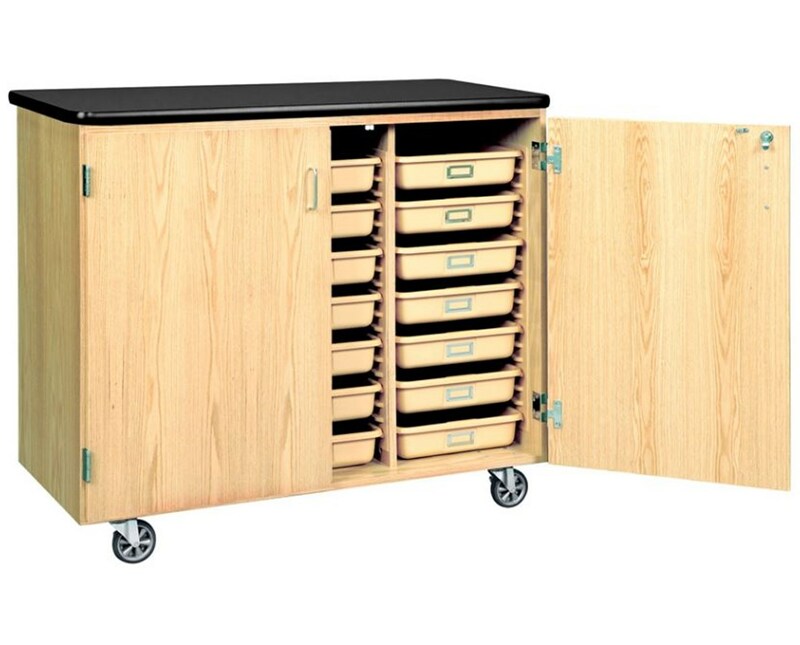 The Diversified Woodcrafts Mobile Tote Tray Cabinet can store different materials with its large totes from small school supplies to lab projects. It comes with two lockable doors that swing 270° and include 21 hard plastic tote trays that have a mobile capacity of 500 lbs. It also features a 1-1/4 inch thick plastic laminate top that can be used as a work surface. 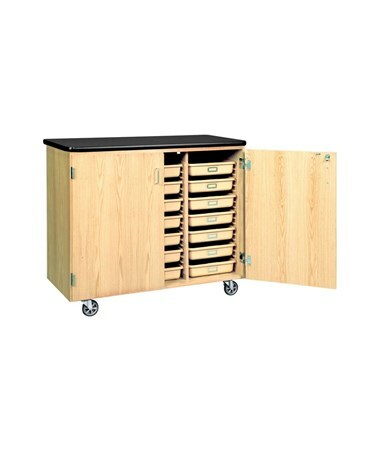 The Diversified Woodcrafts Mobile Tote Tray Cabinet is constructed of solid oak and oak veneers and is finished with a chemical resistant, earth-friendly UV finish. For easy movement and portability, this cabinet is built with four inches ball bearing casters that can be locked to keep the cabinet in place. The tote trays measure 19"L x 14-1/2"W x 3-1/2"H and the whole cabinet measures 48"W x 24" D x 41-1/2"H.
Made in the U.S.A. the Diversified Woodcrafts Mobile Tote Tray Cabinet is SEFA compliant and MAS Certified Green. It comes with a limited lifetime warranty.